Entered for Nomination to the 61st Grammy Awards! View Nomination Page And Listen to Entire Album! Growing up in a small town in Southern Indiana, singing and dancing came naturally to Sara. Music was always a part of her. “Singing, to me, is like walking... it just is part of me.” Sara’s grandmother was a music teacher, playing piano, organ, and accordion, and would spend hours singing with her, sharing great songs of many eras. Sara’s grandparents met singing on the radio together. At eight years old, Sara was singing to Judy Garland records, dreaming of inspiring people with her love for tender lyrics and melodies, in writing them or performing classic standards. Sara sings many styles of music: Jazz, Country, Gospel, Soul, Classical, Pop Standards, Adult Contemporary, and Children's lullabies. Sara has a great understanding of what the “heart of a song” truly means because she sings from her heart. Sara recently recorded with the great Irv Williams from Minnesota. Irv was so impressed with Sara, that at 96 years old, he came out to record on her original Jazz song, “Coffee Talk, released in 2017. 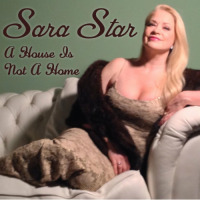 Just prior to “Coffee Talk,” Sara collaborated with the talented Ricky and Billy Peterson from Minnesota to release two new Jazz singles, “A House Is Not A Home” and “Feeling good”, available on iTunes, Google Play, Amazon Music, and E-Music. Her version of “A House Is Not A Home” was also recently released as a music video on YouTube. Sara has also played and recorded with renown Jazz pianist Bradley Williams of Chicago. It’s Sara’s ambition to be a beacon of hope to her audience in times like these, with her voice and life stories. Entered for Nomination for: Best Jazz Vocal Album and Best Traditional Pop Vocal Album! INTRODUCING SARA LACOMBE, JAZZ’S NEW ‘SOPHISTICATED LADY”! THE MULTI-TALENTED SINGER AND PERFORMER VIBES WITH GRAMMY NOMINATED PIANIST/ARRANGER ROB MULLINS FOR A FRESH, DYNAMIC PERSPECTIVE ON 13 BELOVED GREAT AMERICAN SONGBOOK STANDARDS. Sara LaCombe breathes fresh and dynamic new life into 13 Great American Songbook classics on her stunning, multi-faceted debut album whose title perfectly captures her emergence as a contemporary ‘Sophisticated Lady’ of jazz. Produced and arranged by Grammy nominated pianist, composer, arranger and recording artist Rob Mullins, ‘Sophisticated Lady’ is a grand, multi-faceted showcase for the Los Angeles and Minnesota based vocalist and performer’s powerful and emotional storytelling talents. Backed by Mullins’ piano and the swinging rhythm section of Paul Morin (bass) and Brian Head (drums), Sara creates an artful balance between paying homage to our collective musical past and discovering a remarkable way forward for jazz in the present day. Sara’s vocal prowess and ability to swing bursts forth from the first strains of her soulful, wistful take on “September in the Rain” and the lighthearted, playfully jazzy twist she puts on the Jerome Kern/Oscar Hammerstein song “All The Things You Are” – which features one of Mullins’ signature lively piano solos. Easing from jazzy swing to spirited Latin rhythms, “Sway” (originally popularized by Dean Martin) showcases Sara’s dreamy, sensual vocals over Mullins’ easy flowing piano and drummer Brian Head’s subtle Latin percussion. Sara reveals a hushed intimacy with her graceful vocals on the elegant “I’m In the Mood for Love,” then amps up to show her spunky, bluesier side on Mullins’ spicy, high energy boogie- woogie arrangement of “My Baby Just Cares For Me.” Varying the tempos further, the lighthearted “Summer Wind” (most closely associated with Frank Sinatra”) finds Sara in a confident, strutting mode, while “Moon River” brings her back to sharing her most gentle vocal graces on a simple piano-voice duet. Ironically, Sara sees the title track, Duke Ellington’s timeless “Sophisticated Lady,” as something of an outlier, different in tone and intention from the rest of the set list. She shares a deeper, lower part of her vocal range as part of a graceful and sensual, almost meditative presentation with darker soul edges. All About Jazz musician pages are maintained by musicians, publicists and trusted members like you. Interested? Tell us why you would like to improve the Sara LaCombe musician page.